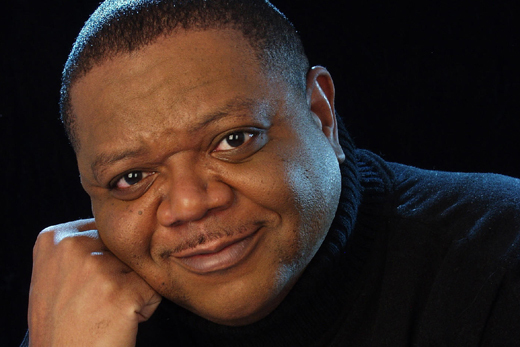 Gary Motley, director of jazz studies at Emory, was recently inducted into the Alabama Jazz Hall of Fame. Acclaim, published the fourth week of each month, recognizes the accomplishments of staff, faculty and students. Listings may include awards and prizes; election to boards and societies; and similarly notable achievements in the wider community. You can submit items to Leslie King, assistant editor of Emory Report, at ltking@emory.edu. Recent honors for Emory faculty and staff include awards in health, history, music and more. Carter received two awards, the LBJ Liberty and Justice for All Award and the Order of Manuel Amador Guerrero from Panama. The former president of the United States is Emory University Distinguished Professor. The LBJ Liberty and Justice for All Award was presented in recognition of his leadership in public service and work in the areas of peace and human rights. Panamanian President Juan Carlos Varela presented the Grand Cross of the Order of Manuel Amador Guerrero, which recognizes people in the areas of politics, science and the arts. Erskine has received the Atlanta Jamaica Association’s (AJA) 2016 Black History Month Award. He is professor of theology and ethics in the Candler School of Theology. Erskine was honored for his contributions to the study and understanding of black theology and its relevance and his involvement in activities promoting Jamaican culture. He is a founding member and past president of the AJA. Erskine was also praised for providing young people of Caribbean descent with an increased appreciation for their heritage. Director of jazz studies at Emory, Motley has been inducted into the Alabama Jazz Hall of Fame. His home state recognized his work as a jazz pianist and composer, putting him in the ranks of other Hall of Fame members including Nat King Cole, Duke Ellington and Ella Fitzgerald, among many other talented artists. Motley has received previous awards from the National Endowment for the Arts, the Great American Jazz Piano Competition and the American Composers Forum (ACF). In 2010, his composition based on a work by Toni Morrison premiered at the Toni Morrison Society’s 6th Biennial Conference in Paris. Stein has been recognized for his manuscript “Embracing failure: What the Phase III progesterone studies can teach about TBI clinical trials,” which is the 2015 first place winner of the Henry Stonnington Award for review articles. Stein is Asa G. Candler Professor and Distinguished Professor in the Department of Emergency Medicine. The award is from the International Brain Injury Association and the journal Brain Injury. Journal editors noted that the awards committee was impressed with the exceptional quality of Stein’s manuscript and the recognition was by unanimous decision. Strawn was honored as editor-in-chief when The Oxford Encyclopedia of the Bible and Law won the American Library Association’s Dartmouth Medal for Excellence in Reference. He is professor of Old Testament and director of the Doctor of Ministry program in the Candler School of Theology. The annual Dartmouth Medal honors the creation of a reference source of outstanding quality and significance. The award is given to the best new reference source published in the previous year. Vick won the 2015 Hans Rosenberg Prize from the Central European History Society for his book "The Congress of Vienna: Power and Politics after Napoleon," which examines the role festivals, salons, women and public opinion played in the congress tasked with shaping Europe’s balance of power following the defeat of Napoleon. Vick is associate professor of history and director of undergraduate studies for the history department. Williams, Creative Writing Fellow in Poetry in Emory’s Creative Writing Program, won the 2015 Jeffrey E. Smith Editors’ Prize in the poetry category from the Missouri Review. The Missouri Review is a literary magazine, known for printing previously unpublished and emerging authors, each year hosting the Jeffrey E. Smith Editors' Prize contest with prize money for entries in fiction, essays and poetry.